You know you're getting old when 10 years seems like, if not yesterday, not too long ago. "It's hard to believe," counters James MacPhail, "but 2002 was a different world." He's talking about Pinot Noir. MacPhail launched his brand when California Pinot was still something of an up-and-comer for many wine drinkers—two years before the movie in which the funny guy said the thing. And his Sonoma Coast and Anderson Valley vineyard sources were somewhat of a new frontier. With the shaved head and assured mien that may be reminiscent of a tech entrepreneur hobbying about, MacPhail actually changed career course early on, spending the last 20 years in this industry. He was able to put up a winery on his rural lot south of Healdsburg because, back in 2007, it, too, was a different world: "I walked into the bank, and walked out with a construction loan," MacPhail shrugs. It didn't hurt that he got the attention of the readership of Wine Spectator, ever thirsty for new shiny things, when his whimsical Radio Flyer–inspired label appeared alongside Russian River Valley notables on the magazine's cover. 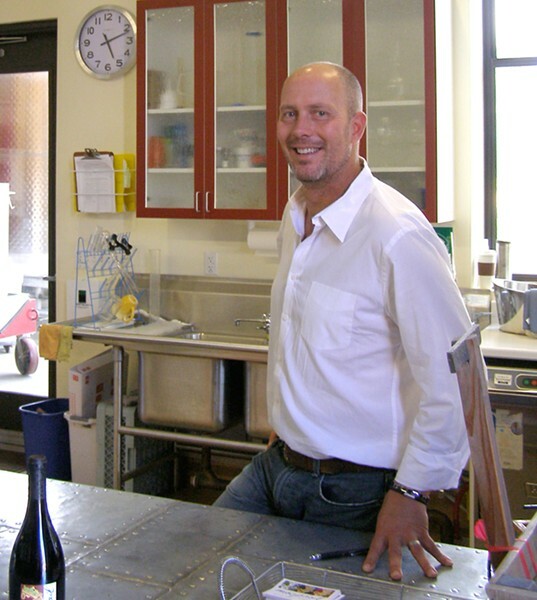 MacPhail is now partnered with the Hess Collection, and he's winemaker for its Pinot Noir–focused Sequana brand. The compact winery is nicely designed, lets in natural light and has stones laid like parking strips in between the barrels—one of his "late night, crazy ideas" and a Burgundian homage. Fermentations are finished in barrel, and both Pinot and Chard get battonage. MacPhail is no low-alcohol leader, but the wines tasted here come across as cool, complex and "serious"—don't blame me if you become an object of fun when you start calling wines "serious." As for MacPhail, he suggests nothing, preferring to let tasters make up their own mind as regards raspberries, soi bois, "seriosity," etc. On Saturdays, he hosts seated tastings around a rustic table in the cellar; otherwise, there's a riveted-together nickel bar fronting a nook that serves as the lab. MacPhail had already dropped his Russian River Valley wines when the Spectator article came out; the 2010 "Flyer" RRV Pinot Noir ($59) is a one-off from Olivet Lane, densely stitched together with oak-smoked bacon notes, leathery plum fruit and Christmas spice. Fat with bacon, spiced with orange rind and earthy with earth, the 2010 Toulouse Vineyard, Anderson Valley Pinot Noir ($49) also sports notes of the pennyroyal herb typical to the area; the 2010 Pratt Vineyard, Sonoma Coast Pinot Noir ($49) makes me reminisce about it after each sip. Wait a few months, and you'll be able to sample MacPhail and Sequana wines at a tasting room now being built in Sebastopol's Barlow Center, a welcome addition to the future. MacPhail Family Wines, 851 Magnolia Drive, Healdsburg. Open by appointment only, Monday–Saturday. Tasting fee, $10. 707.433.4780.